There's been a plethora of hype for The Avengers: Age of Ultron over the past week, but that's because we're about to see the first bit of footage from the sequel here at Comic-Con in San Diego. The movie won't arrive until next summer, but Marvel loves to hype up their future releases (as we've seen since they're staking out dates way ahead of time). But this is all good news for fans, because it means they can get their hands on some cool commemorative stuff like two concept art posters that were handed out at the convention today at Marvel's booth. 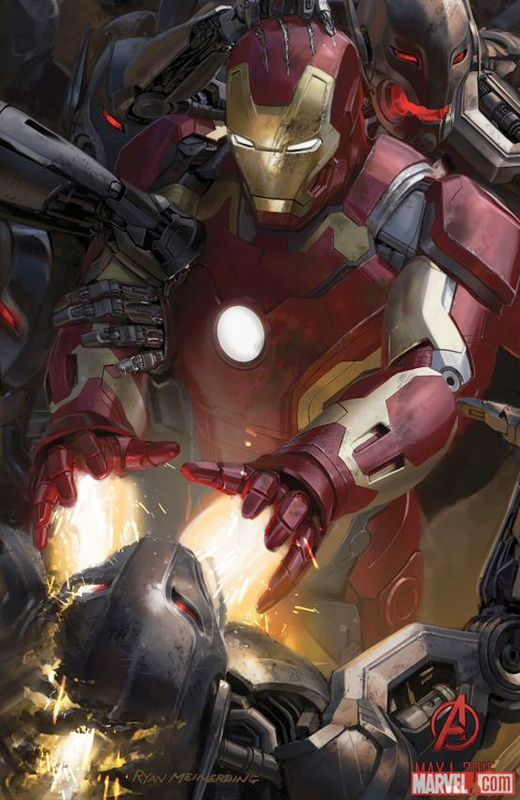 These two feature Iron Man (Robert Downey Jr.) and Scarlet Witch (Elizabeth Olsen) battling Ultron's army, and we think more are probably on the way this week. Look! Could this possibly be two pics cropped from a bigger picture? 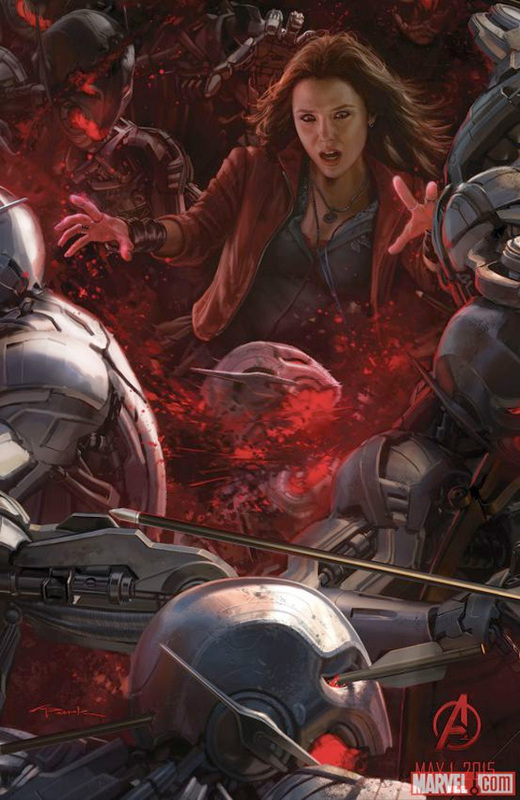 Looks like Hawkeye arrows in the skull of a robot in the Scarlet Witch picture. Maybe its a part of a storyboard, one of those sweeping shots like the first movie had. If you don't know anything about Avengers, as I don't, this just looks like images from the climax of the last one but with her in it. Why is that chick fighting General Grievous?